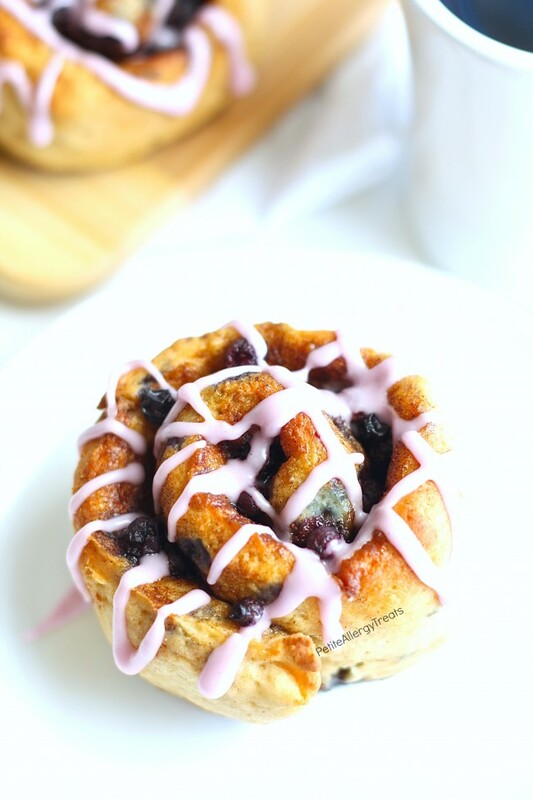 Delicious Vegan Gluten Free Blueberry Cinnamon Rolls! 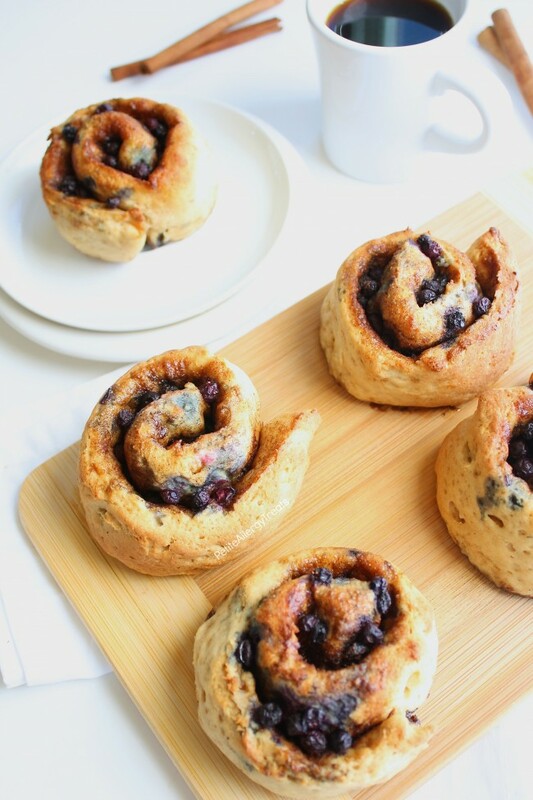 You’ll love these food allergy friendly sweet yeasted rolls that burst with real blueberries. 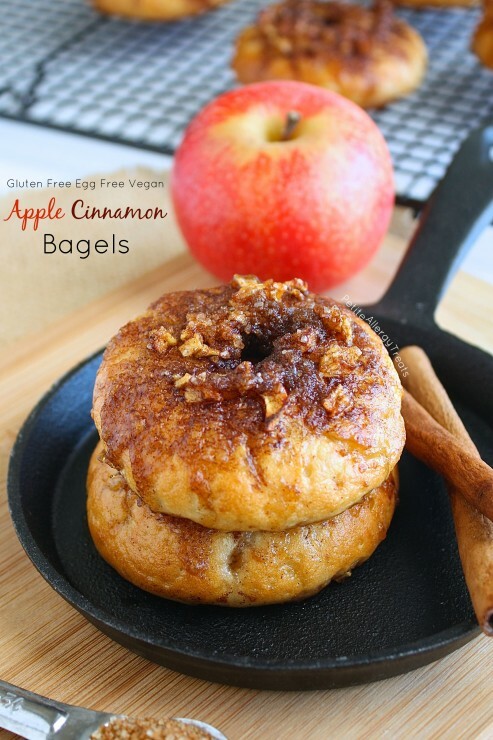 These breakfast treats are egg free, dairy free, soy free, nut free and food allergy friendly. Life comes at you quick… or so they say. Things have been changing (in a good way) at lighting speed lately. 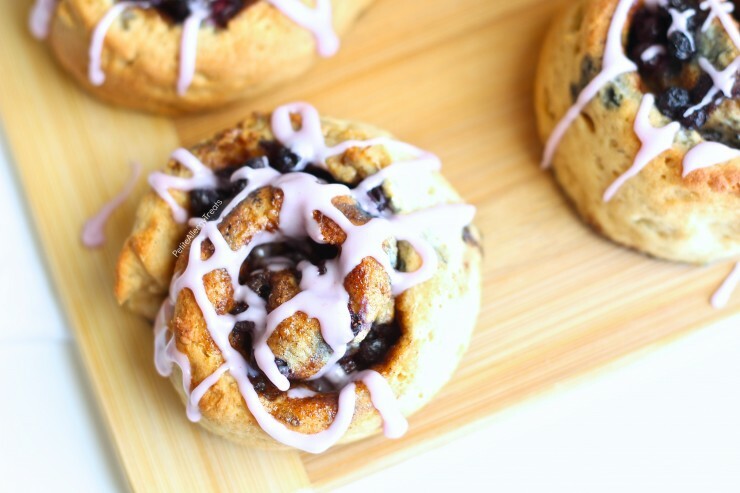 Spring Break is officially over and we can slow down a bit and enjoy one of these sweet gluten free blueberry cinnamon rolls. Last week was fun and exhausting with a stay-cation. I had great things planned for the boys, including new foods to try. With the recent sunflower allergy now gone, we are trying new foods left and right with the sky as the limit. It’s amazing how many things contain sunflower oil, sunflower lecithin or honey. Yes, honey. A strange but confirmed source of sunflower protein. Being Spring Break, I wanted to give the boys a little something to look forward- Tater Tots. You remember them, don’t you? Crisp on the outside and still soft with miniature baked potato like compartments inside. Drench them in ketchup, ranch dressing or stuff them plain. Any way you served them, tater tots were brilliant. Exclaimed, I don’t like them, they taste weird. And with that they asked for something else for lunch. My kids are unpredictable. Really. They love homemade fries. And apparently it’s the homemade thing that matters. 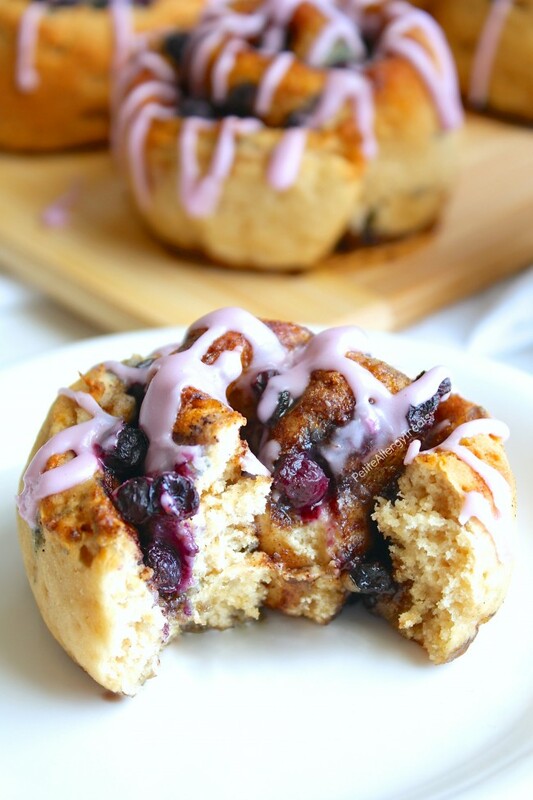 With these blueberry cinnamon rolls, I also experimented a bit with coconut sugar or nectar. I’ve read it’s a low glycemic sugar that is harvested from the coconut flower’s nectar and then dried. It looks very similar to brown sugar and even has a pleasant fragrance. Since the color of the sugar is so dark, it will make baked goods turn out brown. In other words, not a first sugar of choice if you’re going for a stunning white sugar cookie or frosting. But aside from the color, I really loved not having the sugar rush. Either way sugar rush or not, these are sweet yet not overly sweet. Enjoy! Heat ¼ cup of milk of choice to 115 degrees F. Add yeast and 1 tsp sugar, set aside for until foaming. Heat remaining amount of dairy free milk to 140 degree F. Mix in shortening until melted. Vigorously mix all dry ingredients, yeast and heated dairy free milk by hand or stand mixer for 5 minutes to help activate gum. Gently spread shortening over entire dough and evenly sprinkle topping. Spread frozen blueberries evenly. 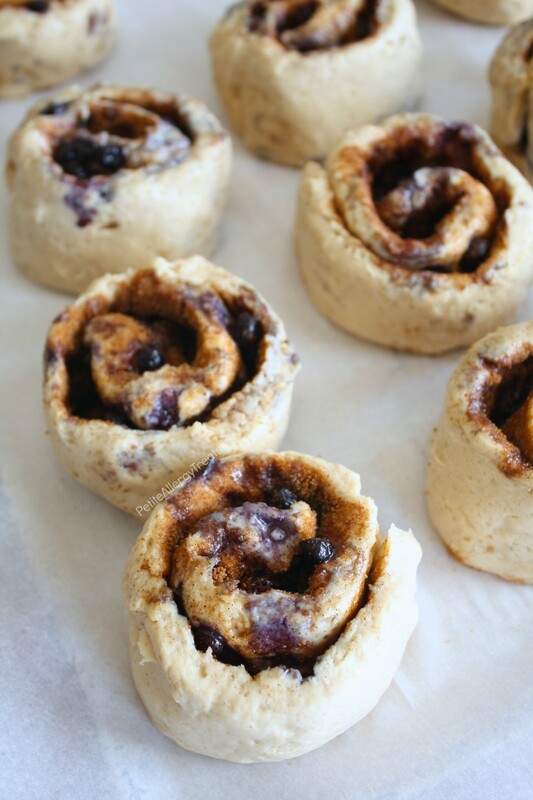 Use the parchment paper to help gently roll the dough down towards you. Cut into 10 even rolls. 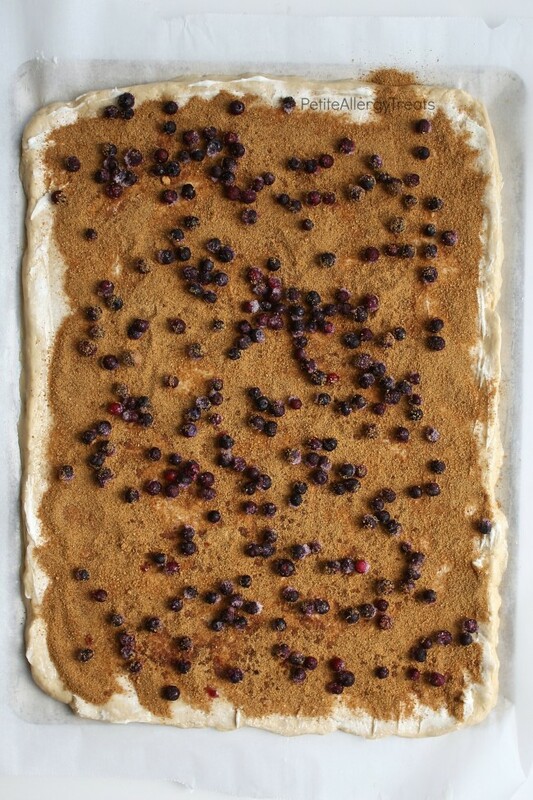 Place each roll on a a parchment lined baking sheet. Rolls should be close but not touching. Bake at 375 degree F for 12-15 minutes. 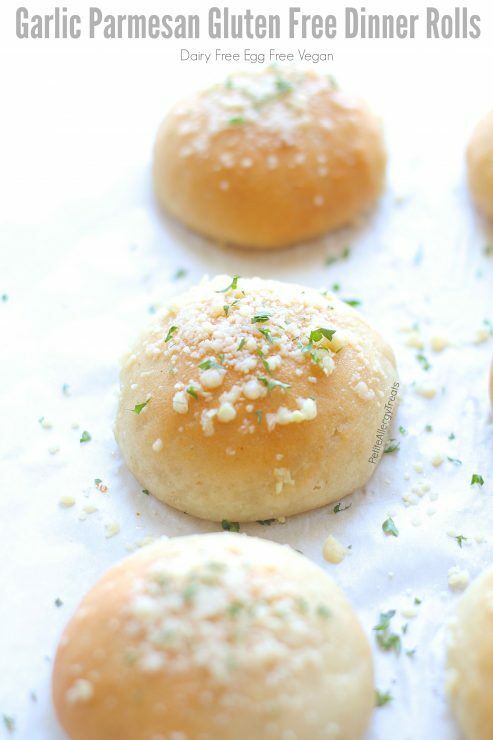 I wish I had one of these rolls right now! LOVE the addition of berries! I will pay you GOO money if you send me some 😉 I’m in major need! Wow, these look absolutely perfect! 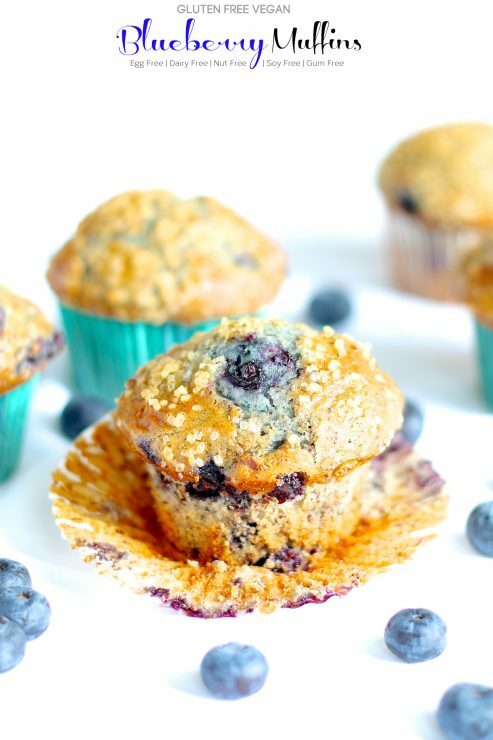 Never would have guessed these are GF and vegan – I’ve got to try these! 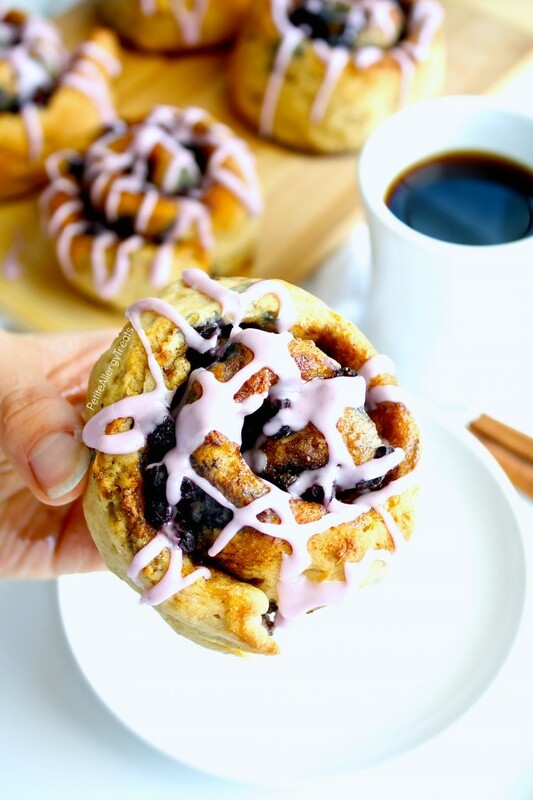 I NEED these cinnamon rolls in my life! Holy moly, Laura! 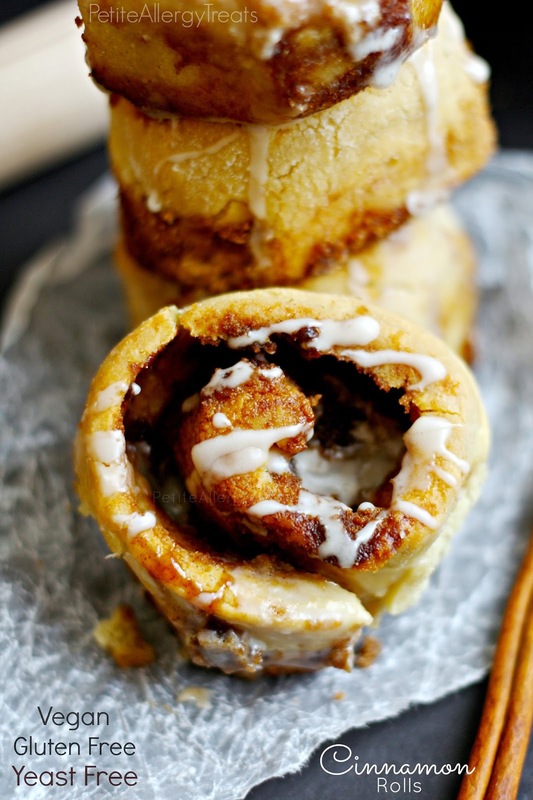 This is total cinnamon roll perfection. 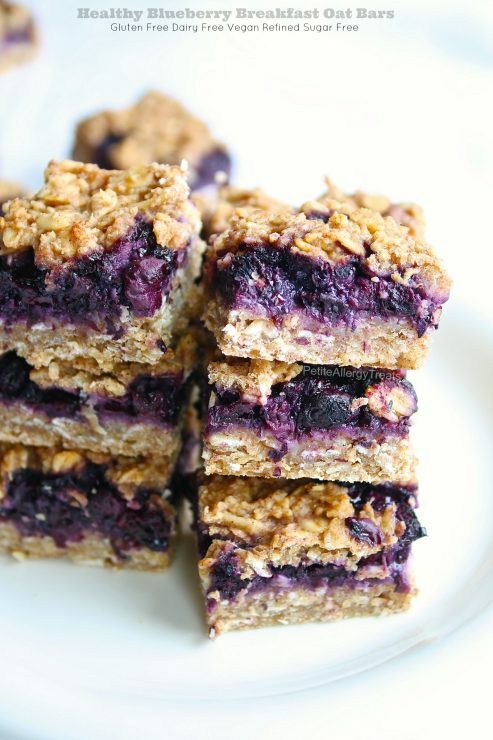 Love the blueberries you threw in here! Loving the layers! Gluten free and a bit of a change up. Thanks! Oh man, these sound soooo good!! I can’t believe they’re vegan and gluten free. 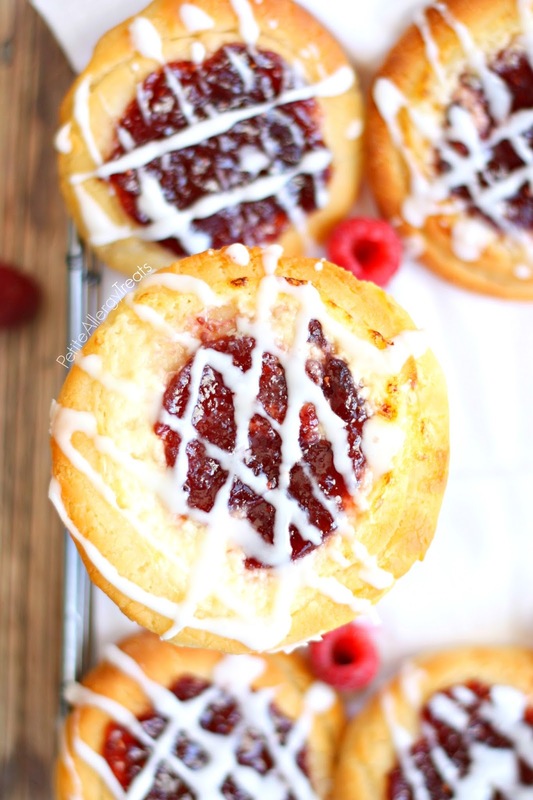 Oh my goodness, I need to make these for my mother in law the next time she visits! She really misses cinnamon rolls! 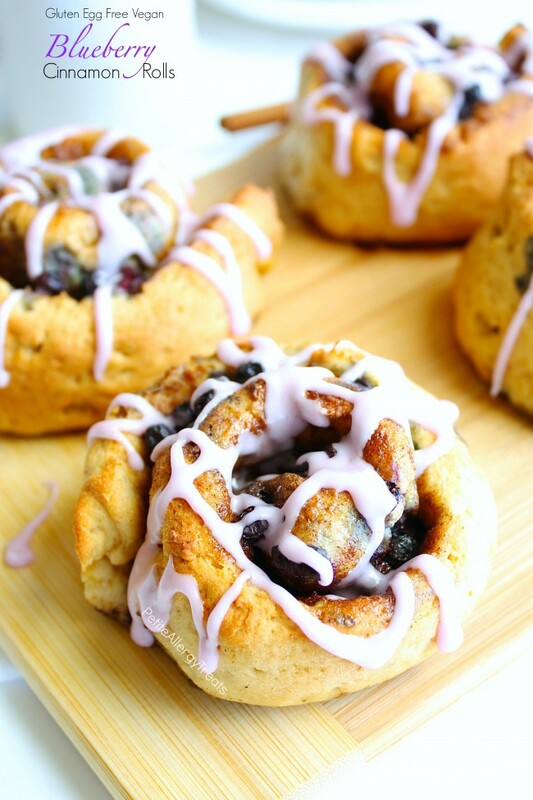 They look beautiful and I love the blueberry glaze idea! Oh no! Sorry to hear this… Did you use my gluten free flour mix or a store bought mix? Usually if people have problems the dough is too sticky, I’m not sure if your dough was dry or too thin?? Gluten free dough is always a bit more fragile (ok a lot more fragile) than wheat. Rolling and cutting always ends up a being a little tricky but you should be able to reshape after moving. Can you please tell me what brand of gluten free flour that you used? 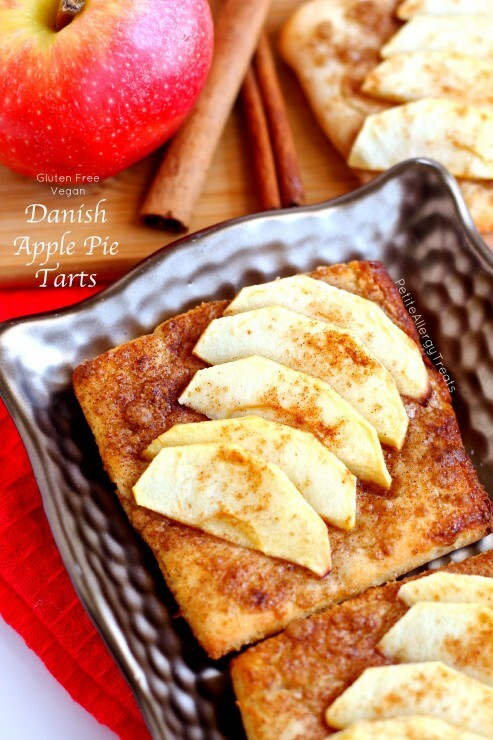 I have Gluten free 1 to 1 bob’s red mill flour and was wondering if that would work for this recipe. Also can I use vegan butter instead of shortening? Hi Gina, I mix my own gluten free flour mix… My mixes contain less starch. I find in eggless baking turns out much better, less gummy. I think Bob’s 1:1 would work but you won’t need to add any extra gums. Vegan butter should be fine. Enjoy!! 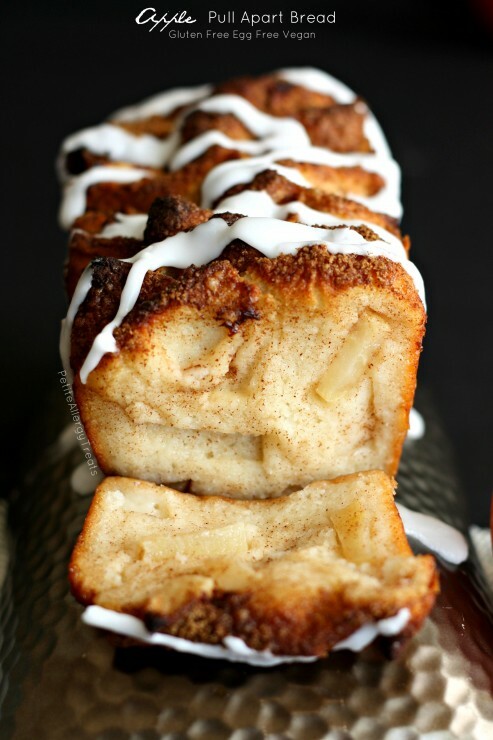 I have been looking for a dough recipe to make a gluten free chicken cordon blue roll ups. 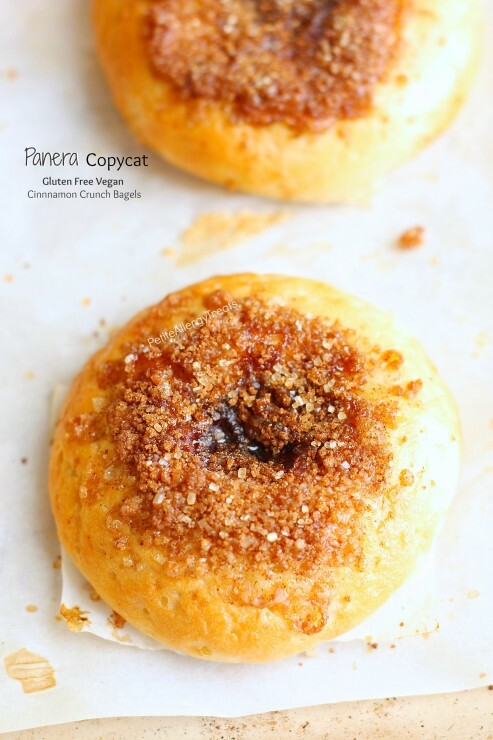 I am going to use your dough recipe for dinner and breakfast. Thanks!